Happy Sunday...I love Sundays you know that?!?! We have a new challenge for you at Sentimental Sundays. 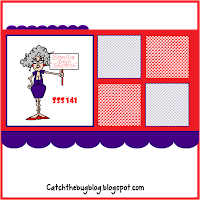 We are being sponsored by Bugaboo Stamps this week and got to pick/play with their images. 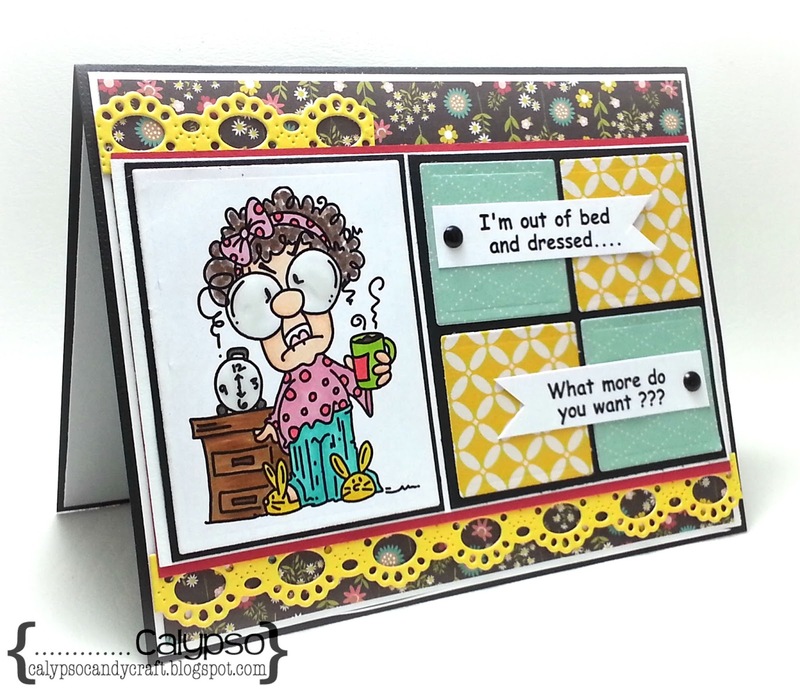 This week I created a card with Gertrude- Up and Dress. Love the mix match in her clothing and the frizzy hair!!! Check her bunny slippers...Do they make these anymore??? Well I hope you will join us this week. Please, remember to keep your humor and images PG. I'm a Gertrude...except my sentiment would read "I'm up...now where is the coffee?" So NOT a morning person & I love nothing better than a jammie day! Great card. I just love this card! Fabulous colors and I love how you did the sentiment! We're so happy you played along with us us for the latest Catch The Bug “Stella Says Sketch" Challenges with Bugaboo Stamps! We hope you’ll join us for our other challenges too!